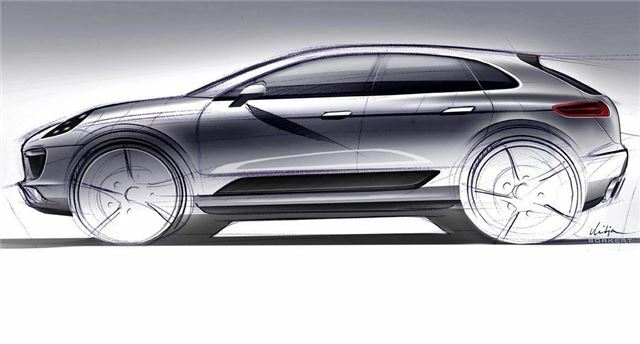 Porsche has revealed that its newest model - a compact SUV due to be launched in early 2013 - will be called the Macan. The name comes from the Indonesian for tiger and the model will sit below the Cayenne in the Porsche range. Based on the Audi Q5, the new Macan will share a lot with the Cayenne in terms of looks if the sketch released by Porsche is anything to go by. The brand says it will be a genuine Porsche that has 'sports car characteristics with the benefits of an SUV'. No details have been released on engines yet but it's rumoured that the Macan will come with a turbocharged 2.0-litre petrol developing 240PS along with a top 3.0 TFSI with 330PS. Of course diesels will be popular with a 2.0 TDI and 3.0 TDI expected to feature. The new Macan follows the recent Porsche pattern for names such as the Cayman and Cayenne. Prices are expected to start at around £30,000 when it goes in sale next year. You can see a little more (and we mean only a little...) in the teaser video below that Porsche put on YouTube.